Plasdŵr Project Manager, Grant Strong, explains how a movement from the 1800s championing sustainable living, green space and community has played a key role in Plasdŵr’s inception. Throughout design and planning, we’ve been referring to Plasdŵr as a ‘Garden City for the 21st Century’ – but what does that mean? The garden city movement was initiated by Sir Ebenezer Howard in 1898 to create self-contained communities characterised by green space and clean air, with places for people to live, work, and grow their own food. Howard wanted to build garden cities around industrial cities like London, giving people places to live with plenty of “fresh air, sunlight, breathing room and playing room.” These places would have a strong sense of community, affordable homes, good jobs, and facilities within walking distance of the residential neighbourhoods. These principles and ideas have played a key role in the masterplanning of Plasdŵr. Howard had idealistic plans for his garden cities. He envisioned them being built over 6,000 acres and housing around 32,000 people. Planned in concentric circles, his garden cities would have six boulevards, each 120 ft wide, extending from the centre to the outer edges linking the residential areas with open spaces, public parks and facilities. In the early 1900s, Howard set out to find a town design which could bring his ideas to life. The result was the UK’s first garden city, Letchworth, which was followed by Welwyn in 1920. These inspired other ‘garden cities’ across the globe including Canberra in Australia, Christchurch in New Zealand, Sunnyside Gardens in Queens New York and Hellarau in Dresden, Germany. The garden city concept, whilst influencing post-war ‘new towns’, has made a recent comeback in the UK amid criticism of purely residential developments and calls for places which are more sustainable with a stronger sense of community. 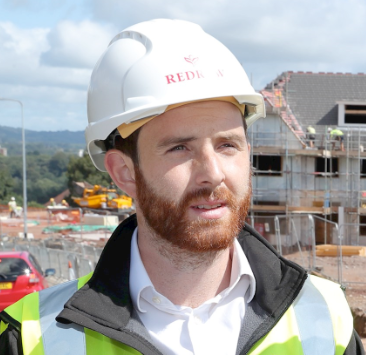 Our lead developer, Redrow, is currently planning several garden city-inspired developments, including Plasdŵr. Plasdŵr has been developed with the 21st century in mind. While the design takes inspiration from Howard’s vision, our masterplanning team has adapted it to meet the needs of modern Cardiff. It will be a place where people can live, learn, work and play, with up to 40% green space, including managed heritage woodland, destination play areas and spaces for people to grow their own food. Plasdŵr will have five distinct neighbourhoods, each with its own individual character and feel. The design includes one district centre and three, smaller local centres with shops, schools, offices, health and leisure facilities. Walking, cycling and using the bus will be the easiest ways to travel, resulting in cleaner air and a healthier way of life. Community will be at the heart of Plasdŵr, as it was in Howard’s original plans. The founding families are already establishing roots and it’s exciting to see our 21st century garden city taking shape.